Beijing is thought to be planning three separate launches of satellites carrying amateur radio payloads in the next few weeks. The launches were highlighted on the Social Media site Weibo and have been discussed on a space flight forum. On September 19, 2015 the new CZ-6 rocket is expected to launch from Taiyuan carrying nine satellites with amateur radio payloads. Six XW-2 satellites will carry 435/145 MHz SSB/CW transponders. LilacSat-2 will have a 145/435 MHz FM transponder along with APRS. The DCBB satellite will have 9600 bps GMSK telemetry in both 145 and 437 MHz and the NUDT-Phone-Sat will have a 437 MHz 9600 bps FSK telemetry downlink. 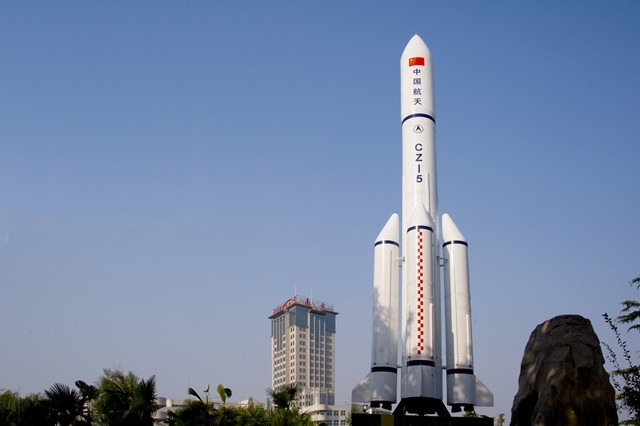 Another new launcher, CZ-11, is Beijing’s first solid-fuel rocket. Planned to launch on September 25 from Jiuquan it will carry three satellites with amateur payloads: Tianwang-1A (TW-1A / SECM); Tianwang-1B (TW-1B / NJUST-2); Tianwang-1C (TC-1C / NJFA-1). They were developed at the Shanghai Engineering Center for Microsatellites. The Jilin-1 Earth Observation constellation is planned to launch on October 5 from Jiuquan on a CZ-2D. It is reported there may also be a satellite with an amateur radio payload.